We needed a drive from Trinco to Nuwara Eliya and See Sri Lanka tours made a fair offer. Sunjeewa is a safe and efficient driver, speaks good English and is very friendly. 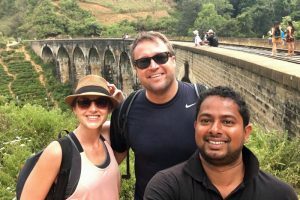 Although we just needed a direct drive to N’eliya, he asked us if we wanted to see this or that and showed us some very nice places like the center point of SL and a tea factory. Thx Sunji for the drive!